Kanshitsu is one of the technique of the statue production in the Orient swelled with Japanese lacquer (Urushi) put on hemp cloth and heaped up the thing which kneaded a mixture of lacquer and wood flour, and to form an image. 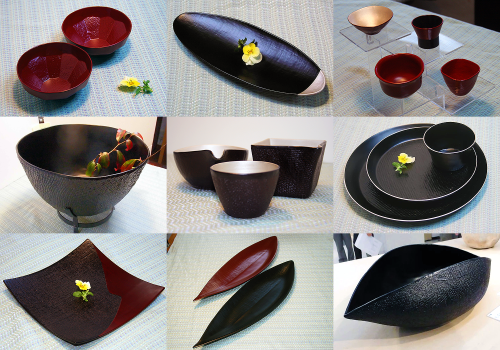 Kanshitsu ware is very right & beautiful and useful for daily life. In Japan, only few artists concentrate to keep this traditional technique. OSK Global Business Promotions is exporting the Kanshitsu’s products to overseas.